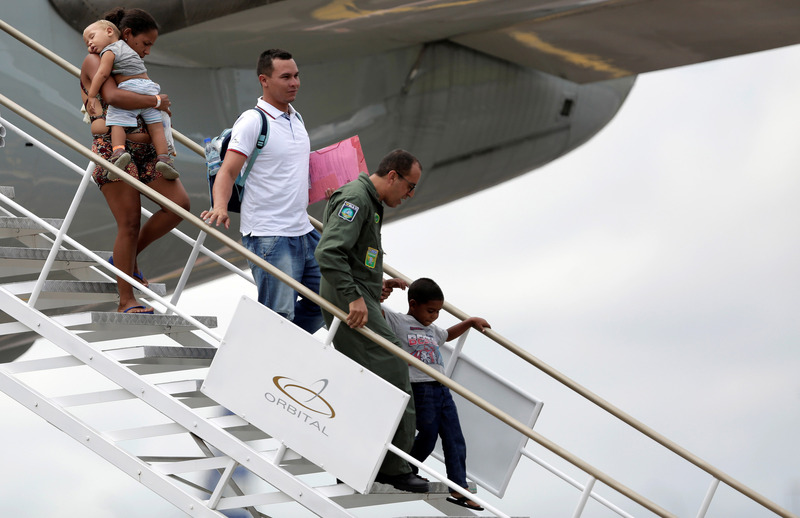 Venezuelan refugees leave a Brazilian Air Force plane upon arrival at Eduardo Gomes International Airport in Manaus, Brazil, on May 4, 2018. Civil war and regional conflicts. Intractable poverty and unemployment. Ethnic, political, and religious persecution. People have many reasons to leave their homes. But whether they’re fleeing an intolerable situation or searching for a better life, the barriers and sacrifices are often the same. For many migrants, the pain of losing what was left behind is matched only by the frustration of not being welcome anywhere else. The first step in securing a more hopeful future is to feel they’ve finally gained the right to stay in one place. 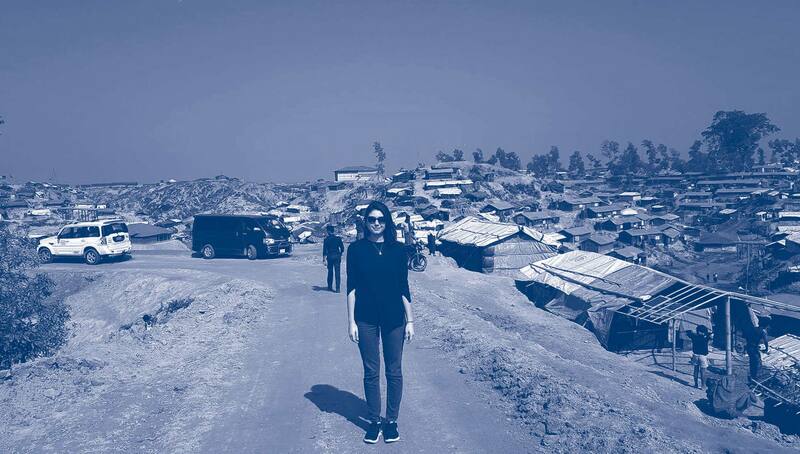 MGA alumna Alyssa Horvat in the Kutupalong-Balukhali Expansion, also known as the “Mega Camp” where over 600,000 Rohingya refugees are currently living in the Cox’s Bazar District of Bangladesh. While pursuing her MGA at the Munk School, Alyssa Horvat earned a coveted internship with the International Organization for Migration (IOM) in Geneva. It gave her a chance to see first-hand how the intergovernmental organization supports and advises both governments and migrants, including internally displaced persons, itinerant workers and refugees. The experience and contacts she gained also opened the door to further opportunity: after graduating in 2017, she was recruited by IOM Bangladesh as a program support officer for the Rohingya Humanitarian Crisis Response. Alyssa is now based in southern Bangladesh near Cox’s Bazar, where a sprawling refugee camp is home to nearly 600,000 Rohingya Muslim refugees who have fled persecution in nearby Myanmar. Her role includes supporting program managers in all operational areas, including protection, shelter, water, sanitation, health and hygiene, as well as overall site management and development. She also prepares reports to donors and government partners on IOM Bangladesh projects and helps to facilitate visits from official delegations. Prof. Randall Hansen, founding director, Global Migration Lab. Global migration remains one of the most pressing challenges of our time. 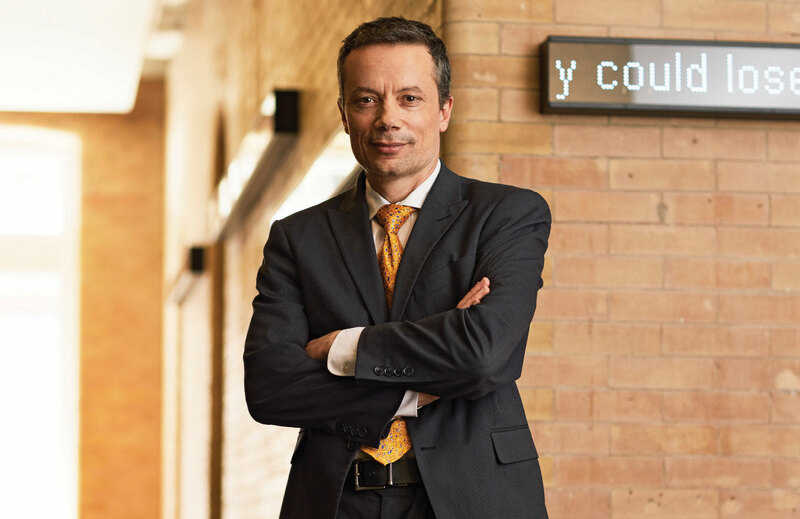 As academic researchers focus on various aspects of forced and voluntary migration and immigration, some of the most influential work is being conducted at the University of Toronto. Certainly migration has long been an area of focus at the Munk School – and last year that focus intensified with the launch of a new hub for knowledge-sharing among policy-makers and scholars: the Global Migration Lab. The lab draws together the expertise of migration scholars across the University, connecting faculty members and doctoral students from eight departments and institutes spanning all three U of T campuses. Prof. Hansen, who holds a Canada Research Chair in Global Migration, has been working in this area for more than 25 years, producing reports for the Migration Policy Institute, the International Organization for Migration and the World Bank, among other organizations. In October 2017, the lab welcomed Prof. Michael Doyle, a principal advisor to former UN secretary-general Kofi Annan, for the Canadian launch of the Model International Mobility Convention – an initiative, spearheaded by Columbia University, to identify gaps in international migration law. And in March 2018, Dr. Daniel J. Costello and Alexandra Bugailiskis – Canada’s ambassadors to the EU and Italy, respectively – led a discussion on mobility under the Comprehensive Economic and Trade Agreement (CETA) and the challenges the agreement poses in terms of irregular migration to both Canada and Europe. Also in March, Dr. Craig Damian Smith, associate director of the Global Migration Lab, helped guide the plenary session of the 20th annual National Metropolis Conference, joining colleagues from the Social Sciences and Humanities Research Council (SSHRC), the European Commission, and Immigration, Refugees and Citizenship Canada. Delegates explored potential research partnerships on migration between Canada and Europe, as well as proposals for allocating the ¤1.8 billion in funding provided by the EU for the Vision2020 research initiative. Over the coming year, the Global Migration Lab will launch a variety of new projects and public talks reflecting its core research objectives, such as the quest for better ways to manage the integration of refugees, and the impact of South-South migration on environmental sustainability. Students from the Munk School’s Peace, Conflict and Justice program (left to right): Semira Duman, Katie Fettes, Sally Antown, Jennifer Han, Cindy Wu. Matthew House is a Toronto-based organization that assists newly arrived refugee claimants after their long and often difficult journey to Canada. In the past year, Matthew House workers were joined by students from the Munk School’s Peace, Conflict and Justice (PCJ) program, who had the opportunity to see first-hand how a non-profit responds to growing needs while working to remain financially sustainable. 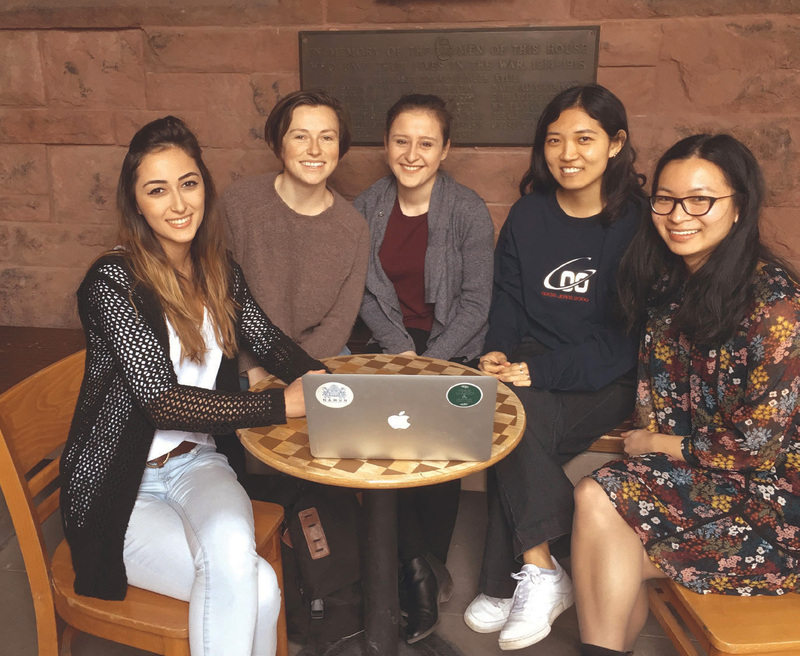 As part of their engagement, students developed proposals to add a social enterprise arm to the organization and to expand its highly regarded Refugee Hearing Program across Ontario. This is the kind of real-world experience that PCJ offers through a unique service learning course that was introduced in 2016 and further developed over the past year. Students spend several hours each week with a local organization, testing out ideas and practices they’ve discussed in the classroom, and bring back findings and experiences to share with their peers. As they learn how non-profits work to achieve community goals, they deepen their understanding of grassroots politics and the role of social capital in resolving conflicts and achieving justice. The Trudeau Centre for Peace, Conflict and Justice, which oversees the PCJ program, works with U of T’s Centre for Community Partnerships, as well as its own network of partner organizations, to find students opportunities that align with their academic interests. While the focus can range from Indigenous rights to homelessness, from accessibility to environmental conservation, the common goal is to give future community leaders hands-on experience on the front lines of social change.